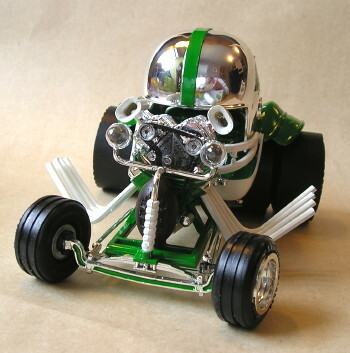 Built by: Dave Kapp in Regina, Saskatchewan, Canada. Even I have to admit this is a pretty hokey kit, but having bought the thing on impulse (as usual), I thought at least I should slap it together. 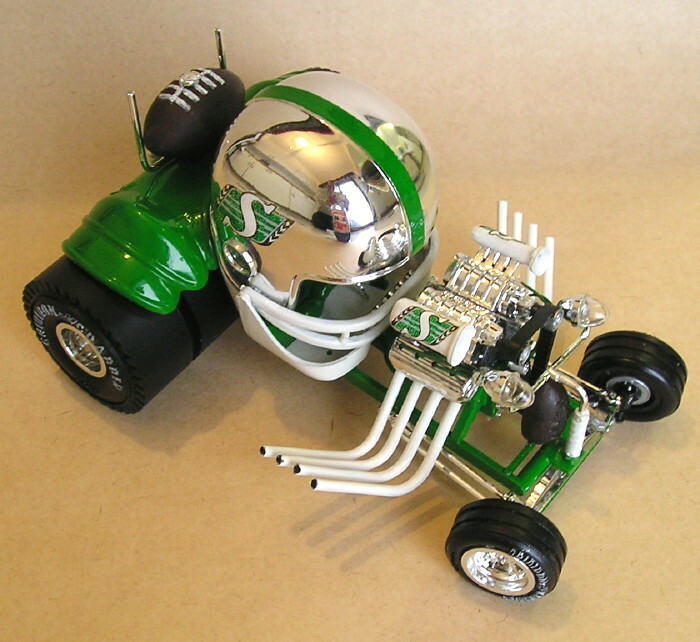 And what better time to build a football-themed show rod than during the CFL's Grey Cup? 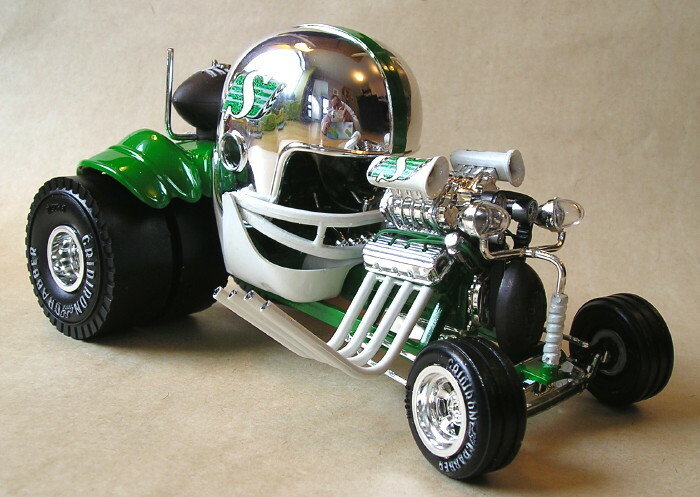 This year, for the first time in eighteen years, our home team, the Saskatchewan Roughriders were playing in it, too. Like a good sport, I decided that I would paint it in the winning team’s colours. 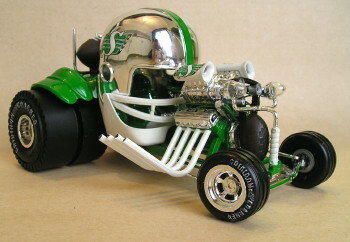 Miracle of miracles, the Riders won the cup! 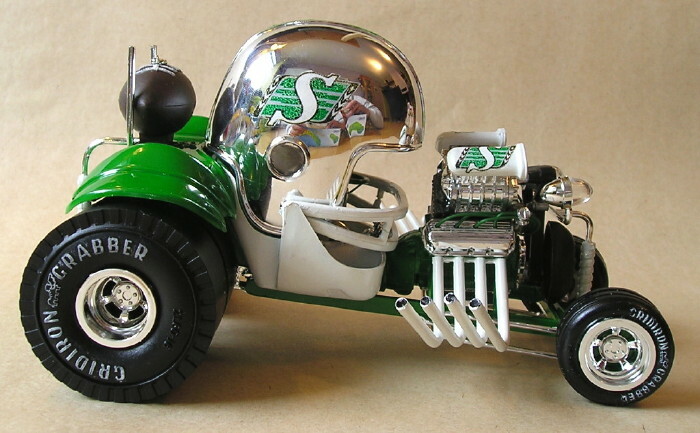 Beat the Winnipeg Bluebombers. 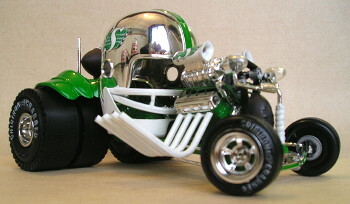 As I'm sure your all aware, the Rider’s colours are Green and White so the whole thing got sprayed either Testors White or Testors Green. I love spraying that green but I can never get the white to cover even the grey plastic AMT uses. 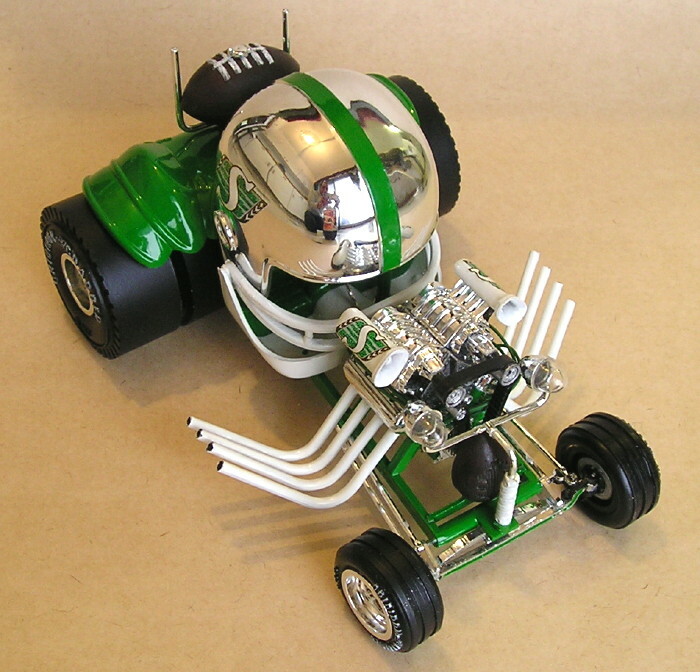 I also added some green spark plug wires as well. I lifted the logos from the web and with a little work, had them printed and applied.